WASHINGTON — Donald Trump said late Monday night that he believed he was given a defective microphone at the debate, asking at one point if, perhaps, it was on purpose. There was no clear problem with his microphone during the debate. Trump has often joked on the campaign trail about faulty microphones, saying on occasion that he may refuse to pay for the audio rental. 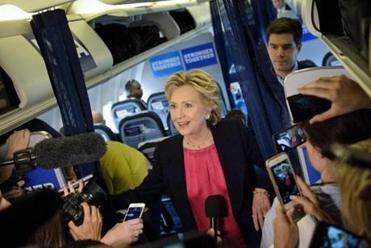 He repeated that joke last week during a campaign event in Kenansville, N.C.
“Anyone who complains about the microphone is not having a good night,” Clinton said. Overall, however, he said he felt he did well against his Democratic rival, Hillary Clinton. Analysis: Surprise! This was a real debate.